- Hermit crab, 2 clowns, Azure damsel and blue velvet damsel. Some scratches near bottom of tank. 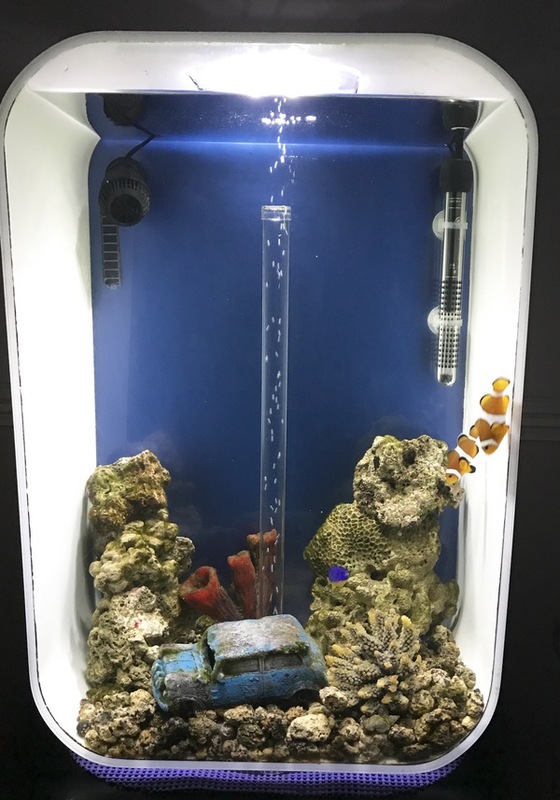 I've used RO water together with tropic marine salt and a polyfilter. I do 10L water changes every 3 weeks. Tank and stock nearly 5 years old.